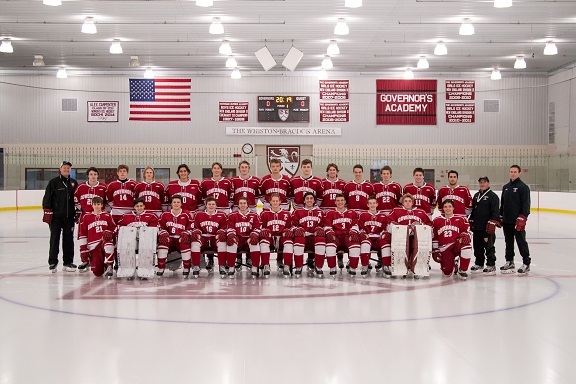 Boys ice hockey has a long and storied tradition at The Governor’s Academy, tracing its roots back to the first “Ice Polo” team in 1895. The program has produced several notable alums and coaches, great teams and most recently the addition of the Whiston-Bradgon Arena, a premier $10 million dollar facility. Standout players such as Benn Ferriero '05 (Boston College), Brian McGuirk '04 (Boston University), Matt Lombardi '06 (Boston College), Brian Day '07 (Colgate University), and Cody Ferriero '10 (Northeastern) have come through the program. Legendary coach Larry Piatelli, whom the NEPSAC Small School Tournament trophy is named for, led The Governor’s Academy to the Division II title in 1988 and was responsible for the program’s jump to Division I play in 1989. Four former players have received "All-New England" recognition: Michael Zbriger '00 in 2000, Gabe Winer '02 in 2002, McGuirk in 2004 and Day in 2007. Four Governor's skaters have been selected in recent NHL Entry Drafts: in 2004, McGuirk was chosen in the 8th round by the Columbus Blue Jackets. In 2006, Day was taken in the 6th round by the New York Islanders and Benn Ferriero was selected in the 7th round by the Phoenix Coyotes. In 2010 Cody Ferriero was selected in the 5th round by the San Jose Sharks. Both Benn Ferriero in 2006 and Day in 2007 participated in USA Hockey National Junior Evaluation Camps in Lake Placid, NY which help identify the best Under-20 players in the country. Governor's Academy has also produced two former winners of the prestigious John Carlton Memorial Trophy, presented annually by the Boston Bruins to the outstanding student-athlete in Eastern Massachusetts high school hockey. Gabe Winer won it in 2002 and Benn Ferriero in 2005. 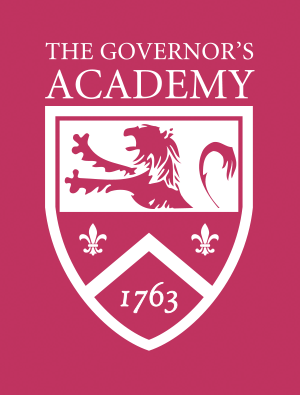 The Governor’s Academy has been a member of the sixteen-team Independent School League (ISL), widely regarded as one of the most competitive high school hockey leagues in the country, since the league’s inception. Our league schedule is made up of home and away games against Keller Division rivals Lawrence, Thayer, St. Sebastian's, Milton, Nobles, Belmont Hill, and St. Paul's; our non-league opponents include Phillips Exeter, Phillips Andover, Berkshire School and Cushing Academy. As a member school of the ISL, the varsity team plays 28 regular season contests and navigates one of the most challenging schedules in New England each year. It is our belief that the game of hockey is meant to be played fast and aggressive, that we should seize every opportunity to transition to offense as quickly as possible, while being disciplined in our defensive principles. In order to play this style, a culture of hard work, accountability, discipline and respect within the program is required and expected. Above all, the game has to be played fairly and the team needs to be one of high character and sportsmanship. It should not be forgotten, however, that we must love to go to the rink, and despite all of the hard work that goes into being successful, we cannot lose the joy of playing the game.